Can a movie be both repulsive and captivating? Cinema’s enfant terrible, Lars von Trier, is back with one of his most challenging and confrontational films in a career not exactly known for playing it safe. 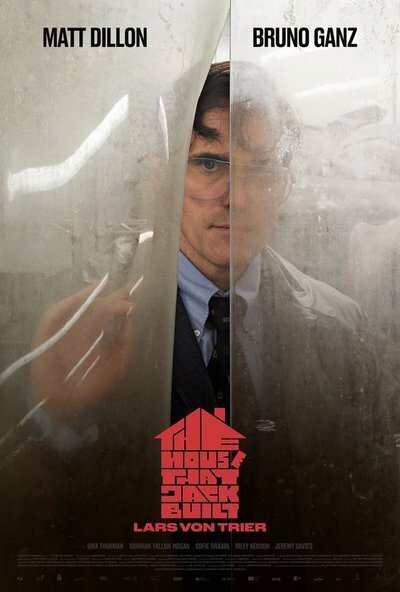 Notorious for a Cannes response that included both a standing ovation and hundreds of walk-outs, “The House That Jack Built” is finally available to American audiences, in limited release and on VOD in a slightly-edited R-rated cut. Don’t worry. The “thrust” of von Trier’s vision remains to such a degree that it’s even hard to believe this version got an R (which raises the key question of “why bother cutting it at all?” but that’s for another piece). So what is that vision? It’s one that compares artistry with murder as the director draws direct lines between creating art and taking lives. The film finds von Trier wrestling with the claims of misogyny and misanthropy that have followed him his entire career, but not in the way you’d expect. If anything, he leans into both, daring you to look into the abyss with him as he interrogates his own dark side and banishes himself to the underworld. Jack’s crimes get more insanely violent and reprehensible, and nothing is off limits for von Trier. Jack murders a woman in her living room, guns down a family on a hunting trip, and in the film’s most misguided sequence, cuts off the breasts of a woman he has verbally berated and nicknamed “Simple” (Riley Keough). He tells her he’s going to do it. In fact, he’s constantly calling attention to his crimes, whether it’s the mechanic who saw him with his first victim or the guy he waves to on the porch of his second. Von Trier has claimed that there’s something of a Trump allegory at work in “Jack,” and it’s likely at least in part in how brazenly Jack commits his crimes. He’s almost begging to be caught, but no one seems to care enough to do so. But, of course, despite pleas to see it as a Trumpian allegory, Jack is more of a stand-in for von Trier himself. He not only envisions his elaborate murders as works of art but arranges the bodies afterwards into an increasingly morbid tableau. He keeps the corpses in a giant walk-in freezer, and delights in moving them around like, well, a director moves actors on a screen. And Jack is something of an obsessive-compulsive, another trait he likely shares with a man who made a movie like “The Five Obstructions” (in which a director had to follow specific rules like, well, a serial killer who needs his crimes to be executed to perfection). And von Trier has been accused of misogyny on-screen and off, so it shouldn’t be surprising that Jack’s victims are mostly naïve women, although it's sometimes hard to watch. What does all of this add up to? The film’s final stunning 20 minutes feature some of the most striking imagery of von Trier’s career, but you have to get through the torture of “Simple” and the shooting of children to get there. Is von Trier castigating audiences a la Michael Haneke? Or is he almost parodying himself just to get a rise out of people? There’s a fine line between art and provocation, and the best parts of “The House That Jack Built” seem to be interrogating that line. Is this art? Is this vile? Can it be both? So, is “The House That Jack Built” hollow provocation or dense commentary? I’m honestly not sure yet. It’s undeniably too long (153 minutes), often meandering through the same points over and over again in a way that becomes numbing, but there’s something more complex here than I think its critics are willing to see. Don’t get me wrong, I understand not being willing to dig through the horrors of this movie, and/or presuming there’s nothing to unearth, especially given von Trier’s track record of playful misanthropy. But von Trier remains a fascinating conundrum to me—a director who sees violence and pain on the same artistic spectrum as love and joy. Some might look at “The House That Jack Built” and say it’s completely lacking in the empathy we so often want from our artists, but I think von Trier would disagree, arguing that empathy requires understanding the entire human condition and not just its good side. Does that make for entertaining or even thematically engaging cinema? Not always, and if anything frustrates me about “The House That Jack Built” it's that it feels less focused than his best recent work (“Melancholia,” “Nymphomaniac”). Some of the long conversations about art are naval-gazing garbage that would get someone kicked out of a college class. Ultimately, it’s more of an inconsistent cry into the void than the conversation starter it could have been. Most of all, like the serial killer who literally tells a cop about his crimes, von Trier just wants you to pay attention to him. Repulsed or fascinated—he doesn’t really care as long as you see him. It's up to you to decide if he's worth seeing.